Virgo white pearloid pickguard, Jazz Bass® replacement, 3 ply (WP/W/B). 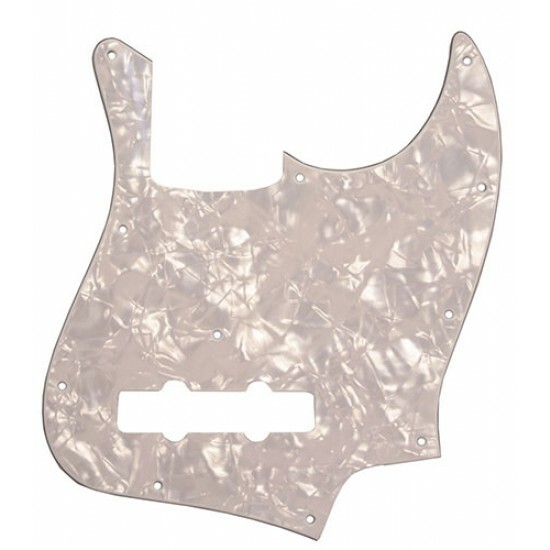 White pearloid pickguard, Jazz Bass® replacement, 3 ply (WP/W/B). 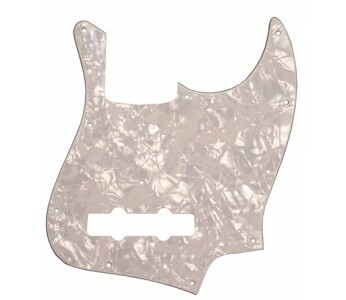 This 3 ply pickguard will fit most non USA made J-Bass® style basses and bodies. Please note, as with most pickguards, slight modifications may be necessary.